TEENAGER Kane Kosovich will always hold a place in the hearts of his community with the unveiling of a memorial today near one of WA’s most dangerous roads. An outpouring of grief followed the loss of the popular Kalamunda SHS student from High Wycombe, who died crossing the Kalamunda Road-Roe Highway intersection almost two years ago. 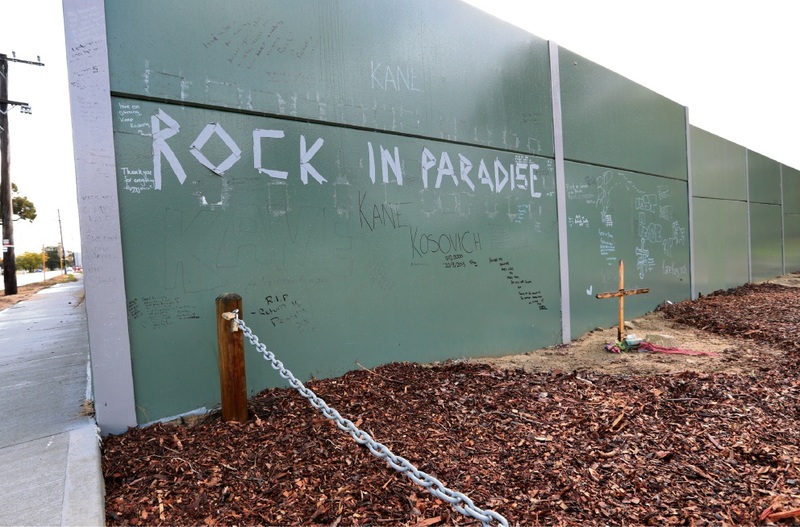 Tributes left by friends and classmates near ‘Kane’s Wall’ will be replaced with the inscription ‘fly with the angels’ on a permanent plaque. An $86 million upgrade and overpass at the black spot is due to begin next year and a jacaranda tree will be planted near the memorial. Hasluck MHR Ken Wyatt said Main Roads’ statistics showed 201 crashes at the intersection in the past five years, leaving 31 people injured or killed. The loss of so young a life has been hard for Kane’s family to bear and his mother Rennae said the support of her local community had left her feeling they were not alone. “Kane was a bit of charmer, always respectful to girls, and very close to little sister Dakota,” she said. His interest in music began at a young age when he began playing acoustic guitar and learned hip-hop dancing with the Kalamunda Performers. 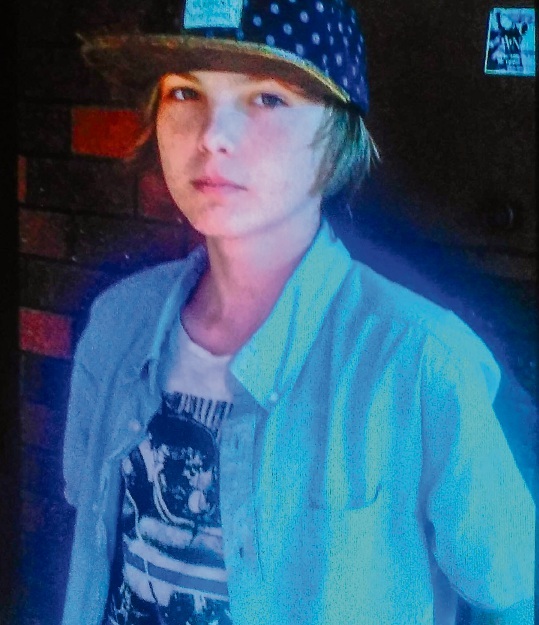 Kane delivered his local newspaper the Kalamunda Reporter before he turned 14 years of age and began working after school in his local deli Lucky 7 in nearby Kalamunda Road. “He loved working in the deli and the previous owners were among the many local people and businesses that supported us by raising funds,” Mrs Kosovich said. Mrs Kosovich said the family was eternally grateful to the students of Kalamunda Senior High School and the City of Kalamunda for working with Main Roads to have a permanent memorial erected near the intersection. 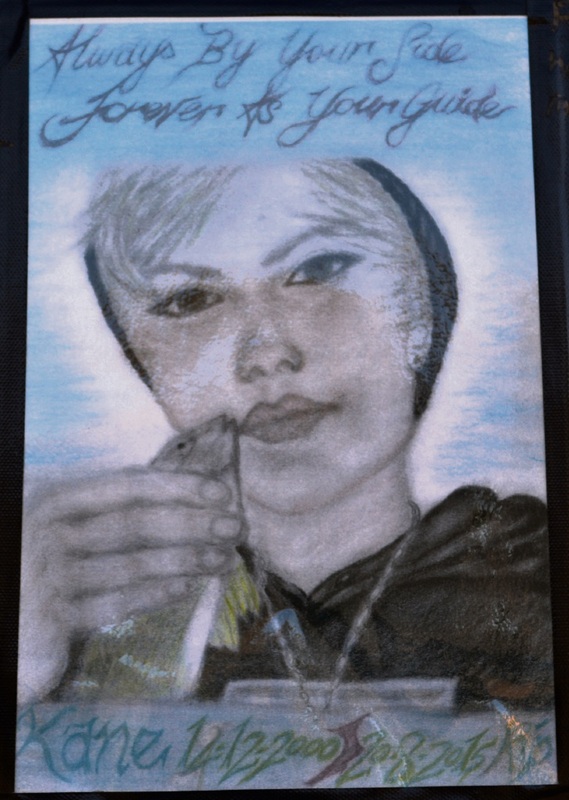 “Having the plaque means his friends and classmates will continue to have somewhere to visit him,” she said. “It will be really nice…it means a lot. Kane Kosovich passed away aged 14 on August 20, 2015. The City of Kalamunda will present Mrs Kosovich with a memorial booklet of the tributes and artwork left on Kane’s Wall by her son’s classmates and friends.